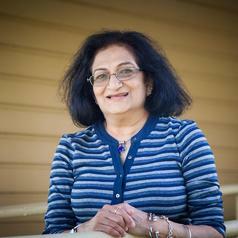 After an academic career lasting over 15 years at Lady Sri Ram College (11 years as a Reader & Senior Lecturer in Psychology; including 2 years as Head, Department of Psychology) and Daulat Ram College (5 years as Lecturer in Psychology), University of Delhi, Delhi, India, I migrated to Australia in 2000. Prior to joining University of Western Sydney in 2002, I worked at the Department of Community Services (Child protection) and Department of Ageing Disabilities and Home Care (Psychologist). These Public Service positions provided first hand experience with multi cultural families in Australia. At Western Sydney University, I am currently involved in Postgraduate and Undergraduate teaching. I also supervise research at the Masters, Hons and Post Graduate Diploma levels. My research interests and publications are in the area of immigrant health and wellbeing. As a developmental psychologist, I am keen on understanding the impact of life events on development, more so from the point of view of migration and settlement issues like loneliness, general ethnic discrimination, psychological distress, help seeking, language barriers, job-seeking challenges to mention a few. I am one of the few researchers to apply the 'Attachment Framework' in understanding migratory experiences. Presently I am conducting research in a much neglected area in migrant settlement, the contribution of children in migrant settlement. The research revolves around adults who remember their childhood experiences of assisting their parents by interpreting and translating information as ‘language brokers’.